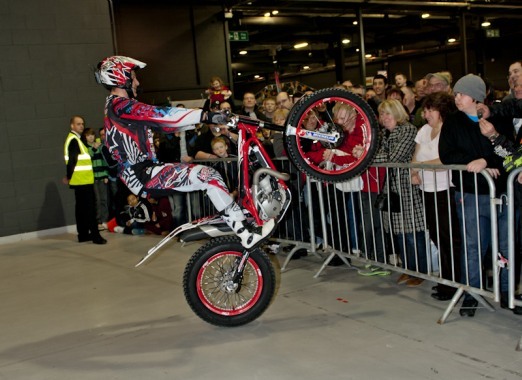 Costs for this Motorbike Stunt Show start from GBP £1,250 all depending on what is required, where the show or tricks need to be performed and how long for. 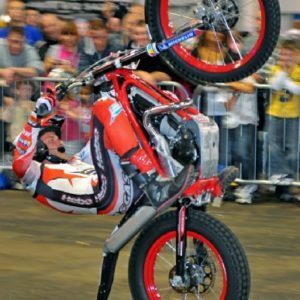 His ability to perform tricks & stunts on the motorbike has enabled him to play a stunt doubles in movies and create a buzz at the variety of events he has performed at. 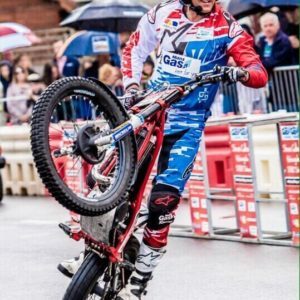 This motorbike stunt rider can turn any setting into a playwark for his motorbike stunts, whether it be a ship yard, a building site or even a business car park. 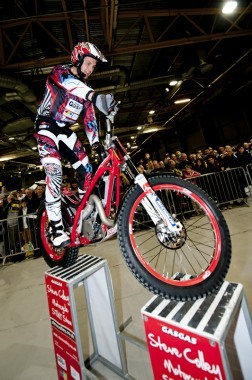 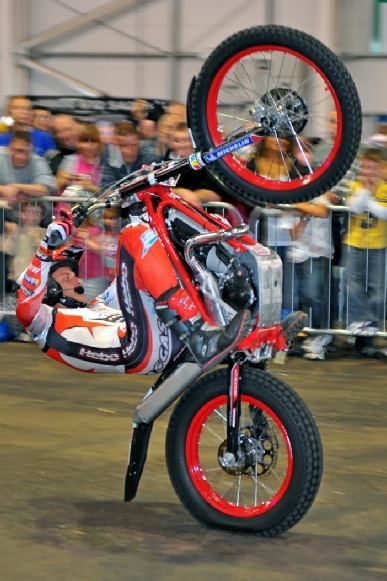 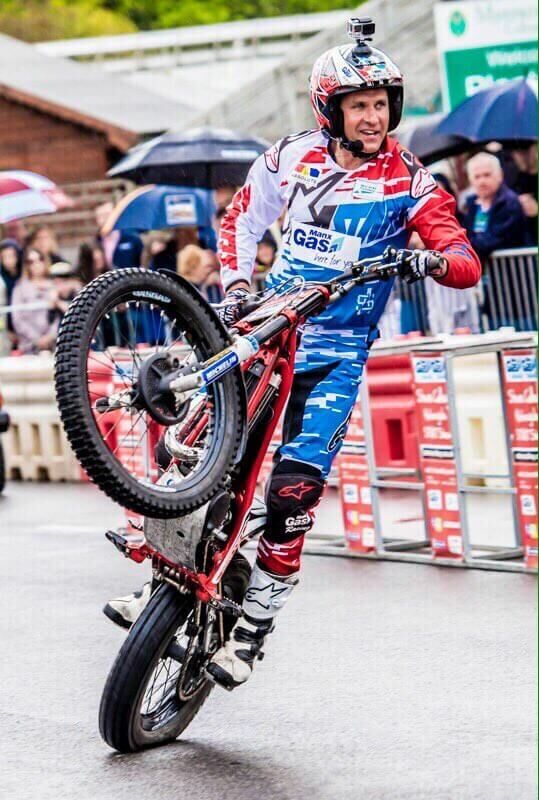 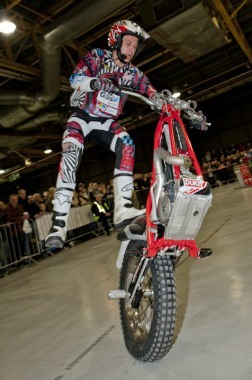 This stunt bike rider is 3 times world champion & performs shows for a variety of events, festivals, launches, promotional campaigns and also featured in a variety of bike stunt video clips. 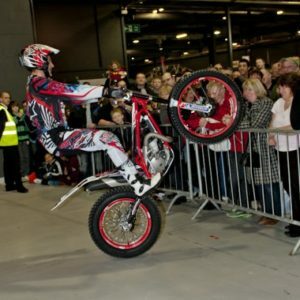 Also performed for brands such as Michelin, Gas gas & Home.